Two interesting articles in the Chinese press to close this year. The Institute of Asia-Pacific Studies of the Chinese Academy of Social Science discussed the future direction of China's Foreign Policy. There are obviously two opposite views. Let us hope that the first one will prevail in 2011. It is also the interest of Beijing, if China wants to become a superpower. In the second article, Liang Guanglie, China’s Defense Minister said that he did not exclude the possibility, in some local areas, that some 'unexpected events' may occur. Once again, let us hope that peace will prevail. It is also worth noting that the Army is declining compared to the other three services (Navy, Air Force and Second Artillery). Recently China’s government think tanks have been debating the direction of China’s foreign policy. On December 29, 2010, People's Daily published a December interview of Liang Guanglie, China’s Defense Minister. Li stated in the interview, “Looking at the current world situation, a full-scale war is unlikely, but we cannot exclude the possibility that, in some local areas, unexpected events may occur, or military friction may take place due to a ‘misfire.’” He indicated that, of all the military forces, the navy, air force, and second artillery corps make up a large and growing percentage, while the army is on the decline; that 80% of the officers now have college degrees; and that a modern weaponry system dominated by second generation equipment, with third generation equipment as the backbone has preliminarily been established. 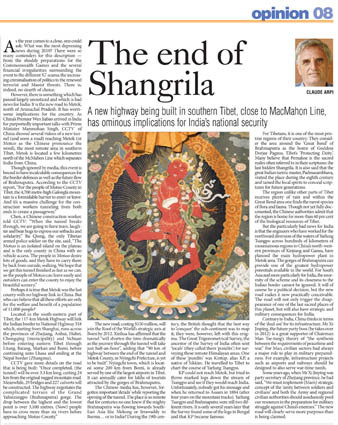 Another article in The Pioneer, The End of Shangrila. To read click here. 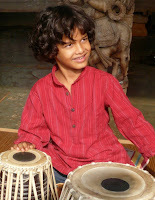 My article In 2010 so much has emerged out of India's gutters is posted on Rediff.com website. Click on the title to read. 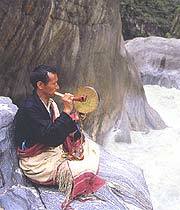 The Nyingchi Prefecture, bordering Arunachal Pradesh receives several lakhs of tourists every year. Can we imagine in 2011, Indian couples getting married in Tawang monastery, on the other side of the border? It is probably too much to ask from the Ministries of Home Affairs and Defense. India will preciously keep its 'British' Inner Line Permit system for the decades to come. But think over it, the Chinese tourists in border areas, render a great service to the People's Republic of China, they subsidize the infrastructure which may be used against India one day. In 2010, Tibet improved tourism-related infrastructure, promoted service quality on tourism and supported the fast growth of tourism. 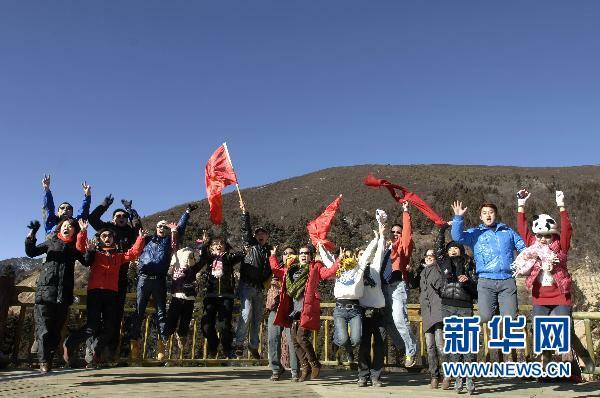 Tourists to Tibet have topped 6 million annually, and the number is expected to reach 6.8 million annually. The number of tourists has increased by 21.6 percent year on year, which is a record number of tourists. Two articles points to the same threat: the economic power of China. In India first: a top nuclear scientist expressed concern over India's private sector placing large-scale orders to import power plant equipment from China. He said that it is 'disturbing'. Mr. MR Srinivasan, former Atomic Energy Commission Chairman and Secretary, Department of Atomic Energy explained: "When Chinese Prime Minister came (to India recently), something like 30,000 mw to 40,000 mw of power plants have been ordered from China by the Indian private sector. It's a disturbing thing". He pointed out that India actually started making power plant equipment before China but China has grown in the field rapidly driven by the state and it has so much capacity now that it can take big orders and "beat everybody in competition". "We don't want to electrify this country based on Chinese equipment", he said, adding, this issue is worth pondering. 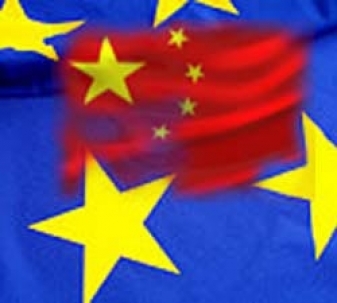 Then in Europe, voices are asking some sort of regulation to monitor the Chinese economic take-overs. Despite the so-called 'Peaceful Rise of China', these threat perceptions are bound to grow during the coming year. EUOBSERVER / BRUSSELS - Europe should establish a new authority with powers to block foreign takeovers of strategic European businesses, EU industry commissioner Antonio Tajani has argued. The authority is particularly necessary as Chinese companies increasingly look to grow their overseas investments, the Italian politician said in an interview with German business daily Handelsblatt on Monday (27 December). "Chinese companies have the means to buy more and more European enterprises with key technologies in important sectors," remarked Mr Tajani. "It is a question of investments but behind that there is also a strategic policy, to which Europe should respond politically," he said. As a result, Europe should establish "an authority tasked with examining foreign investments in Europe" using the the Committee on Foreign Investment in the US as a model. Under the proposal, the European authority would determine "if the acquisition (of a company) with European know-how by a private or public foreign company represented a danger or not." A number of European and American firms have been frustrated in recent years by the speed at which their Chinese competitors have acquired new technologies developed outside the Middle Kingdom. For its part, China has gradually sought to remove its own restrictions on foreign investment but considerable limitations still apply. Reacting to the EU suggestion for a new authority, German economy minister Rainer Bruederle warned against overly quick decisions. "Of course one can have an evaluation procedure taking into account security and public order concerns. But we shouldn't take hasty actions," Mr Bruederle told the Handelsblatt paper on Tuesday. "Europe profits from the openness of its markets and offers attractive conditions for foreign investors," he added. 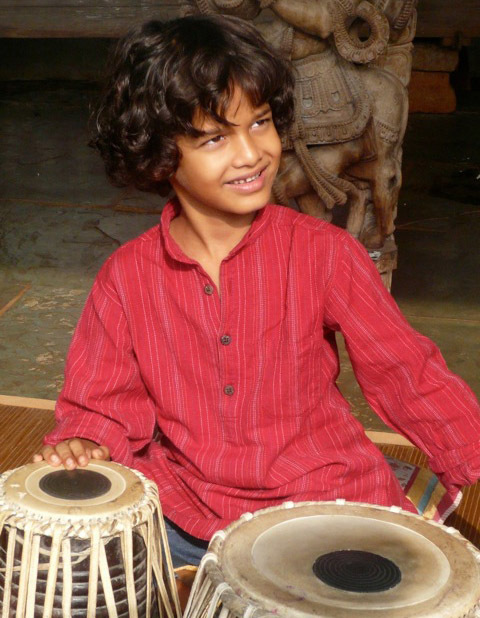 My article on Keshava, The innocence that touched the soul of India is online on Rediff.com. Click on the title to read. More interesting than most of the Wikileaks cables, this series of US documents published by the National Security Archives of the George Washington University on how Pakistan acquired the bomb. Let us not forget that Bhutto had said that Pakistan was ready to eat grass to possess the coveted gadget. Thanks to A.Q. Khan who managed to steal the blueprints for a gas centrifuge uranium enrichment facility, the Pakistani dream became a reality under the eyes of the Americans who "wanted to maintain good relations with that country, a moderate state in an unstable region". The same old story, yesterday like today. Though the Carter Administration was upset for some time with Zia-ul-Haq's regime, the arrival of the Soviets in Afghanistan by the end of the decade made them 'forget' that Pakistan had become nuclear. Later, it was too late to stop the nuclear train. Another E-briefing of National Security Archives points out: "the China’s role as a leading provider of sensitive technology to Pakistan has repeatedly strained U.S.-China relations, and has complicated efforts to expand U.S.-China trade." Business may have been more 'complicated' for the Americans, the fact remains that China has been Pakistan's main support to acquire the bomb. The document admits that the U.S. has information indicating that Pakistan began to develop a nuclear explosive device “soon after the 1974 Indian nuclear test.” Pakistan has obtained technology for its research in Europe [The Netherlands], using procurement agents and front organizations [Mr Khan's network]. The U.S. has also concluded that China is assisting Pakistan’s nuclear program: it believes that they have cooperated in the production of fissile material, and possibly also in 'nuclear device design'. It also acknowledges that during the 1980s, "the U.S. was criticized for providing massive levels of aid to Pakistan, its military ally, despite laws barring assistance to any country that imported certain technology related to nuclear weapons. President Ronald Reagan waived the legislation, arguing that cutting off aid would harm U.S. national interests". Recently declassified U.S. government documents from the Jimmy Carter administration published today by the National Security Archive shed light on the critical period when Washington discovered that Pakistan, a Nuclear Nonproliferation Treaty [NPT] hold-out, had acquired key elements of a nuclear weapons capability. Once in power, the Carter administration tried to do what its predecessor, the Ford administration, had done: discourage the Pakistani nuclear program, but the CIA and the State Department discovered belatedly in 1978 that Islamabad was moving quickly to build a gas centrifuge plant, thanks to "dual use" technology acquired by Khan and his network. The documents further disclose the U.S. government's complex but unsuccessful efforts to convince Pakistan to turn off the gas centrifuge project. 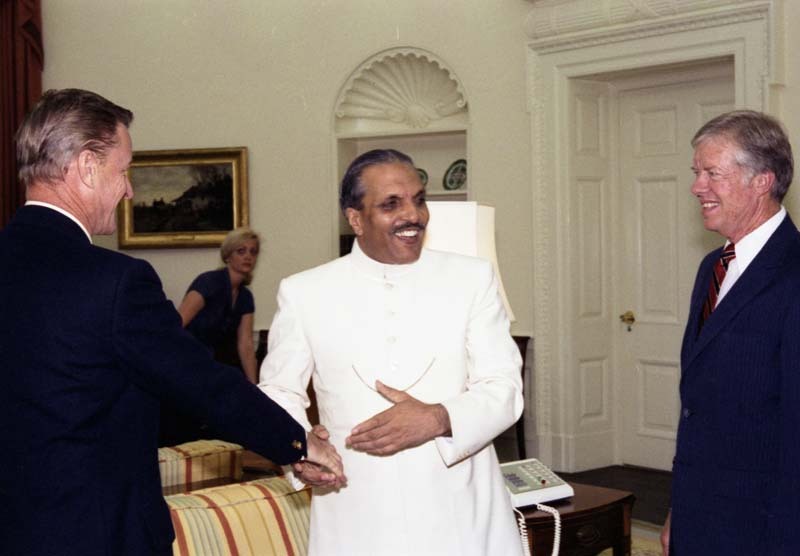 Besides exerting direct pressure first on President Zulkifar Ali Bhutto and then on military dictator General Muhammad Zia-ul-Haq, Washington lobbied key allies and China to induce them to pressurize Islamabad, but also to cooperate by halting the sale of sensitive technology to Pakistan. Declassified government documents show that the Carter administration recognized that export controls by industrial countries could not sufficiently disrupt Pakistan's secret purchases of uranium enrichment technology, so it tried combinations of diplomatic pressure and blandishments to dissuade the Pakistanis and to induce them to reach an understanding with India. Washington's efforts met with strong resistance from top Pakistani officials; seeing a nuclear capability as a matter of national survival, they argued that Pakistan had an "unfettered right" to develop nuclear technology. The Indians were also not interested in a deal. Senior US officials recognized that the prospects of stopping the Indian or the Pakistani nuclear programs were "poor"; within months arms controller were "scratching their heads" over how to tackle the problem. ▪ U.S. requests during mid-1978 by U.S. diplomats for assurances that Pakistan would not use reprocessing technology to produce plutonium led foreign minister Agha Shahi's to insist that was a "demand that no country would accept" and that Pakistan "has the unfettered right to do what it wishes." ▪ By November 1978, U.S. government officials, aware that Pakistan was purchasing technology for a gas centrifuge enrichment facility, were developing proposals aimed at "inhibiting Pakistan" from making progress toward developing a nuclear capability. ▪ By January 1979, U.S. intelligence estimated that Pakistan was reaching the point where it "may soon acquire all the essential components" for a gas centrifuge plant. ▪ Also in January 1979, U.S. intelligence estimated that Pakistani would have a "single device" (plutonium) by 1982 and test a weapon using highly-enriched uranium [HEU] by 1983, although 1984 was "more likely". ▪ On 3 March 1979, Deputy Secretary of State Warren Christopher spoke in "tough terms" with General Zia and Foreign Minister Shahi; the latter claimed that the U.S. was making an "ultimatum." ▪ On 23 March 1979, senior level State Department officials suggested to Secretary of State Vance possible measures to help make the "best combination" of carrots and sticks to constrain the Pakistani nuclear program; nevertheless, "prospects [were] poor" for realizing that goal. ▪ The decision in April 1979 to cut off aid to Pakistan because of its uranium enrichment program worried State Department officials, who believed that a nuclear Pakistan would be a "new and dangerous element of instability," but they wanted to maintain good relations with that country, a "moderate state" in an unstable region. ▪ During the spring of 1979, when Washington made unsuccessful attempts to frame a regional solution involving "mutual restraint" by India and Pakistan of their nuclear activities, Indian prime minister Morarji Desai declared that "if he discovered that Pakistan was ready to test a bomb or if it exploded one, he would act at [once] 'to smash it.'" ▪ In July 19799, CIA analysts speculated that the Pakistani nuclear program might receive funding from Islamic countries, including Libya, and that Pakistani might engage in nuclear cooperation, even share nuclear technology, with Saudi Arabia, Libya or Iraq. ▪ By September 1979 officials at the Arms Control and Disarmament Agency said that "most of us are scratching our heads" about what to do about the Pakistani nuclear program. ▪ In November 1979, ambassador Gerard C. Smith reported that when meeting with senior British, French, Dutch, and West German officials to encourage them to take tougher positions on the Pakistani nuclear program, he found "little enthusiasm … to emulate our position." ▪ In the wake of the Soviet invasion of Afghanistan, when improving relations with Pakistan became a top priority for Washington, according to CIA analysts, Pakistani officials believed that Washington was "reconciled to a Pakistani nuclear weapons capability." Pakistan's successful drive for a nuclear arsenal was perhaps the most significant frustration for the Carter administration's nonproliferation policy. Five years before Carter's inauguration, following Pakistan's defeat in the 1971 war with India, President Bhutto made a secret decision to seek nuclear weapons which he followed up in 1973 with negotiations to buy a nuclear reprocessing facility (used for producing plutonium) from a French firm. (Note 6) Apparently U.S. intelligence did not seriously examine the prospects for a Pakistani bomb until after India's May 1974 "peaceful nuclear explosion." 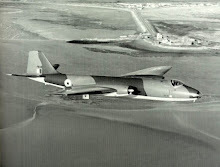 In the following months, the authors of Special National Intelligence Estimate [SNIE] NIE 4-1-74, "Prospects for Further Proliferation of Nuclear Weapons," expected Pakistan to "press ahead" with a nuclear weapons program, which they projected as "far inferior to its prime rival, India, in terms of nuclear technology." (Note 7) In August 1974, US intelligence estimated that Pakistan would not have nuclear weapons before 1980 and only as long as "extensive foreign assistance" was available. Over a year later, however, a new prediction emerged: that Pakistan could produce a plutonium–fueled weapon as early as 1978, as long as it had access to a reprocessing plant. Recent studies of the U.S.–Pakistan nuclear relationship see moments during the mid-to-late 1970s when it may have been possible to bring the Pakistani program to a halt by preventing Khan from acquiring sensitive technology. The Dutch may have had the best chance in 1975 when they suspected that Khan was a spy; whether the U.S. and British governments had similar opportunities to nip the Pakistani nuclear effort in the bud remains a matter of debate. (Note 9) For example, when British officials learned that Khan and his associates were trying to purchase high frequency electrical inverters needed to run centrifuges, they acted too late to stop the Pakistani from acquiring this technology, which they soon learned how to copy and manufacture. So far declassified documents do not shed light on when the British told the U.S. government about this development and how Washington initially reacted to it, or what else U.S. intelligence may have been learning from other sources. In any event, some of the documents in this collection suggest that the U.S. intelligence establishment may have had a mindset that prevented it from acquiring, or looking for, timely intelligence about the Pakistani secret enrichment program. That Pakistan could try to acquire and develop advanced gas centrifuge enrichment technology was not an element in intelligence analysis. While the authors of SNIE 4-1-74 recognized the possibility that interested nations could secretly undertake a gas centrifuge enrichment program for producing highly-enriched uranium, they posited that it was "highly unlikely" that it could be undertaken "without our getting some indications of it." The possibility that "indications" might come too late was not discussed, but the tight secrecy controls over the gas centrifuge technique may have created a certain confidence that it would not leak out. Thus, the "Memorandum to Holders" did not include any discussion of what it would require for a country to build a gas centrifuge plant by purchasing "dual use" or "gray area" technology; no doubt its authors assumed that poor countries such as Pakistan were unlikely to pull off such a stunt. Indeed, according to some accounts, U.S. intelligence analysts dismissed Pakistan's competence to take the enrichment route. (Note 11) Whether such thinking may have made U.S. intelligence somewhat less watchful when Khan and his associates were creating their network will require more information than is presently available. 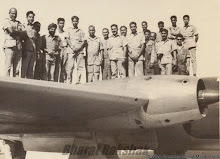 So far no U.S. government reports on the actual discovery of the enrichment program and the Khan network have emerged, although a few declassified CIA items in this collection include estimates how far Pakistan could go with the stolen technology. Most of the documents published today reflect the thinking of State Department officials— ambassadors and assistant secretaries--who worried about the Pakistani bomb, but were less than wholehearted supporters of a rigorous nuclear nonproliferation agenda because it might interfere with securing Pakistan's cooperation on regional issues. This collection does not tap the resources of the Jimmy Carter Presidential Library, but several documents at the National Security Council-level provide insight into high-level policy debates and strategy discussions. A few items provide some insight into President Carter's thinking because they include his observations in handwritten marginalia (see documents 2 and 36). No documents from the files of the former Arms Control and Disarmament Agency are yet available, although a few forceful memoranda by special ambassador on nonproliferation Gerard C. Smith may have dovetailed with ACDA views. Last week I mentioned about the people of Burma being upset because the Chinese had constructed a dam on the upper Irrawaddy. The report said: "A group of Burma activists say a dam in China has dropped the water level of an eastern tributary to Burma's Irrawaddy River to a historic low, making water flows erratic and damaging the economy in the area. 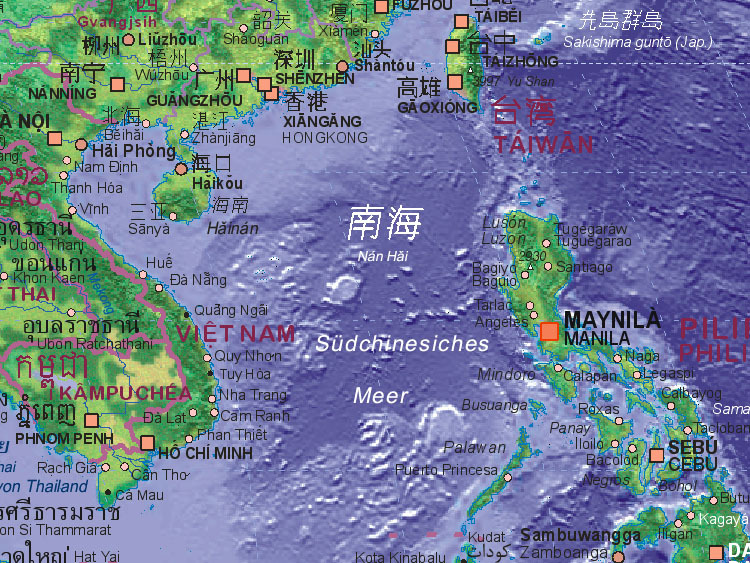 China has been criticized before for not sharing enough information on its upstream dams." Today, The Hindu reports a similar issue in Kazakhstan. The problem is that the leaders of the Middle Kingdom considers that all the rivers originating from their Empire belongs to them and the lower riparian States have nothing to say. As long as this mindset will continue, China will have problems with her neighbours. BEIJING: China's dam-building spree in its far-west Xinjiang region has triggered concerns in the neighbouring Kazakhstan, where officials say two main rivers have begun to see water-levels recede at an alarming rate. Officials from the Central Asian nation are expected to raise the issue with Beijing early next year and press for more information on hydro-projects in Xinjiang, officials in the Kazakh government told The Hindu. 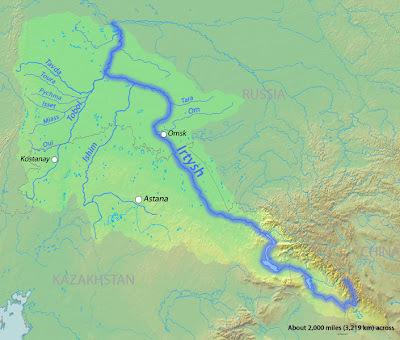 The Irtysh and Ili rivers, crucial to Kazakhstan's water security, have their source in Xinjiang. Since 2000, China has accelerated development in the region, which has seen intermittent ethnic unrest. Kazakh officials say China's development push in Xinjiang, which includes a number of dams and irrigation projects, is the main reason behind the falling water-levels in both the rivers. The rivers drain into the Balkhash lake, which sustains the livelihood of more than two million Kazakhs. 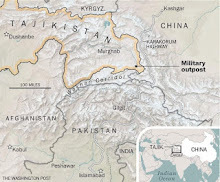 “The water flow from China is much less now than it was before,” Gabit Koishibayev, a senior counsellor at the Kazakh Embassy here who is involved in negotiations with the Chinese government, told The Hindu. Negotiations have made little headway so far, say officials. The dispute, which stretches to over a decade, could hold crucial lessons for India in managing water-sharing issues with China over the Brahmaputra river. China's plans to build dams in the difficult terrain of Tibet are still at a nascent stage compared with its projects in Xinjiang. Kazakhstan has, however, been reluctant to publicly voice its concerns. China is a major destination for Kazakhstan's energy exports. In both cases, China, as the upper-riparian or upstream-lying state, holds the cards, having not committed to any bilateral water-sharing treaties and being entitled to, under international laws, use the rivers' waters for hydropower generation and other projects. 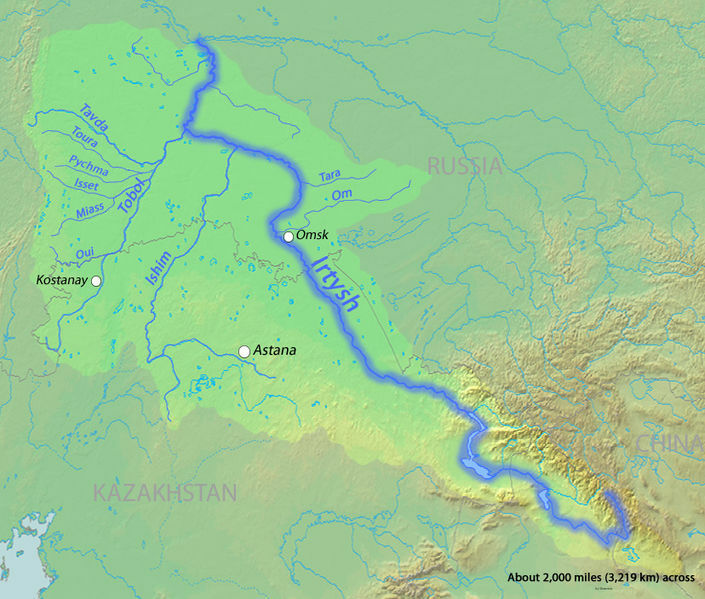 As with the Brahmaputra, there are also persisting concerns that China has plans to divert the Irtysh, though in both cases Chinese officials have stressed there are no such plans. Kazakh officials fear that the Balkhash will face a similar fate to the Aral Sea, which is on the verge of disappearing because of heavy pollution. Its mismanagement is regarded as one of the world's worst environmental disasters. Chinese officials stressed that China was “paying high attention to international communication on trans-border water issues”. China was “carrying out related works according to principles of sustainable development,” the Foreign Ministry told The Hindu in a statement. “This is also in accordance with international laws and international principles. For China, managing water resources with its neighbours is emerging as an important diplomatic challenge, as it looks to balance the demands of its own spreading water shortages, especially in the arid north and north-west, with its foreign policy priority of maintaining a “harmonious” periphery. China, which is increasingly reluctant to be seen as ignoring the concerns of its neighbours, has over the past year appeared to co-operate more in sharing information, Kazakh officials noted, both with Kazakhstan and southern neighbours who have voiced concerns about plans for the Mekong river. In April, Chinese officials attended a meeting of the Mekong River Commission, which China has not formally joined, and promised to cooperate on flood prevention. “We are providing information on floods and hydrological information related to the security of people's lives and wealth both upstream and downstream,” the Foreign Ministry told The Hindu. China and Kazakhstan are now close to signing an agreement on quality protection, which will ensure that Xinjiang's industrial development will not continue to adversely reduce water quality in the two rivers, said Mr. Koishibayev. As Chinese Premier Wen Jiabao arrived in India for important talks with his Indian counterpart, the Chinese TV (CCTV) showed several programs on the new tunnel (and road) reaching the most remote area of Southern Tibet, Metok (or Motuo with Chinese pronunciation). 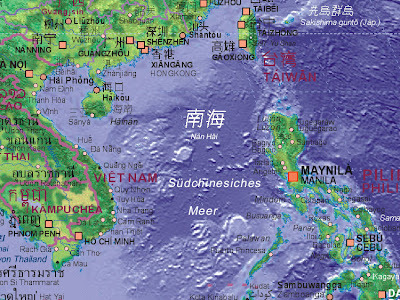 Metok is located a few kilometers north of the McMahon Line which separates India from China. As mentioned earlier on this blog, this new development, most ignored by the 'breaking the news' channels will have incalculable consequences for the defense of Arunachal Pradesh as well as the flow of the Brahmaputra. For the people of Motuo County in Tibet, the 47-hundred meter-high Galongla Mountain is a formidable barrier to entering or leaving. And it's a massive challenge for the construction workers tunneling from both ends to create a passageway. To meet that challenge, the crew has pact: no see, no leave. CCTV reporter Yin Xiang reports from Motuo County. Cheng Chunming is a veteran of tunnel construction. He worked on the Erlangshan Tunnel and won the Luban Prize. However, as he told us, the Galongla Tunnel is the most difficult project he has been a part of. At Galongla, Cheng not only encountered the usual problems, such as fragile geology and rock bursts. He also faced water burst problems. From September 2008 to the present, Chen and his colleagues have been staying at the constructing site without once returning home. Chen has mixed feelings about the tunnel project ending. Cheng said, "We have a pact with colleagues at the other end, which is 'no see, no leave'. Now we are waiting for the last blast. When the tunnel breaks through, we are going to have tears, laughter and bear hugs to express our setbacks, and solidarity." Inspection is a key process to guaranteeing the success of any tunnel project. Bu Qiong is the only Tibetan Nationality armed police soldier on the site. He is also the quality test engineer. He always oversees the most dangerous situations like the blast, water extraction and hole drilling. Bu Qigong, QC engineer of Armed Police Traffic Team said, "Because there was plenty of water in the tunnel, we had to operate in the water, and the water could reach waist level. But we overcame those difficulties and hope for the early finish of this project." Although Bu Qiong's family live in nearby Shannan District, he seldom went back home. As a Tibetan, Bu has a special feeling about this road. Bu said, "The Motuo is an isolated island on the plateau and is the only county in China with no vehicle access. The people in Motuo desire lots of goods, and they have to carry them by back from outside, walking. We hope that we get this tunnel finished as fast as we can, so the people of Motuo can leave easily, and outsiders can enter the county to enjoy the beautiful scenery." For the people of Motuo County in Tibet, the 47-hundred meter-high Galongla Mountain is a formidable barrier to entering or leaving. And it's a massive challenge for the construction workers tunneling from both ends to create a passageway. To meet that challenge, the crew has pact: no see, no leave. Over the past four decades, people in and around Motuo have been battling poor road conditions. Now let's find out a little more about the smallest county in China, and the project that is about to link it with the outside world. Located in the southeastern part of Tibet, the 117 kilometer-long Motuo highway will link Motuo County and Bomi county. 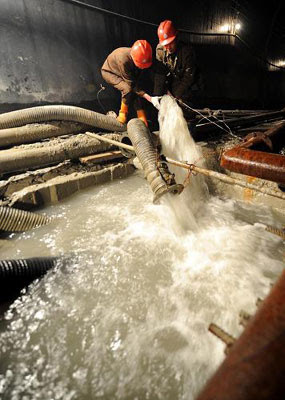 Construction on the 950 million yuan-budget project started in April, last year and is estimated to finish in 2012. It will consist of two parts, the newly constructed Ga-long-la Tunnel and the rebuilt section. The Ga-long-la tunnel is the key sector of the project. Once completed, it will be over 3.3 kilometers long, cutting 24 kilometers from the original rugged mountain road. Meanwhile, 29 bridges and 227 culverts will be constructed in the rebuilt section. The Highway negotiates the complicated terrain of the Grand Yalunzangpo Gorge. The drop between the highest and the lowest point is over 3100 meters. People have to cross more than 6 rivers before approaching Motuo County. The environment along the Motuo highway consists of a rare combination of glaciers and wetlands. And various environmental protection considerations feature throughout the project. Due to the poor geological conditions, none of the roads linking Motuo county to the outside world are safe and convenient. It has made Motuo an "isolated island" in the Tibet Autonomous region. But the highway will provide a gateway for the county and its people to explore the outside world. Due to difficult natural conditions, building a highway connecting Motuo County with the outside world was once considered impossible. But with the Galongla Tunnel now creating a passage through the mountain, the dream is coming true. Zhou Xiran explains past transportation hardships, and why the building of this road is so crucial. Motuo is considered the "last mysterious land on earth." There have historically been two main access points entering this county. The first route has travelers start in Pomi County, tramp over two mountains that rise higher than 4-thousand meters, and cross a forest full of leeches, poisonous insects, and wild animals. This course is also teeming with the risks of avalanches, downpours, and landslides. Another traditional path is scaling snow-covered Duoxiongla Mountain, which reaches as high as 42-hundred meters, sliding through a cable over the Yarlung Tsangpo River, and walking through the towns of Lage, Hanmi, and Beibeng. Only then could a wayfarer enter this Tibetan paradise. The trip would last four days, and the route is only available for a limited period of time -- from June through October -- if that long. From June to September, abundant rainfall causes this road to break up every year. From November to June, the Galongla and Duoxiongla mountains are usually blocked by thick snow. With poor transportation options, goods moving into the county could be only carried by human beings or livestock, especially during the winter season, when the area is blocked by heavy snow on the mountains, making Motuo an "isolated island." Cargo transporter Xu Xinggui said, "Each year, we carry goods 120 or 130 times, on average." The limited amount of goods has given Motuo County the highest consumer prices in China ... Just imagine paying 10 yuan for a bottle of Coca-Cola, or 20 yuan for a bottle of beer. Motuo County vendor Li Ziaoyu said, "Lean meat is 40 yuan per kilogram, and fat meat is 36 yuan per kilo. That's much more expensive than other parts of China." 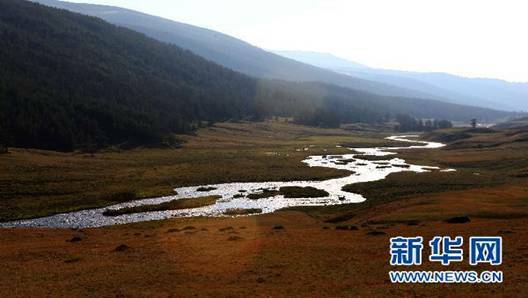 Bu Qiong, quality control engineer of Armed Police Traffic Team, said, "Motuo is an isolated island on this plateau, as well as the only county in China with no vehicle access. The people of Motuo desire lots of goods, and they have to carry them on their shoulders from outside ... walking." The county's only hospital lacks medical equipment and expertise, and people can only purchase medicines once a year, when the routes are able to be passed. Deng Shenmin, deputy director of Motuo County People's Hospital, said, "After the Galongla Tunnel creates a pass through the mountain, the sickest patients can be transferred outside, and it will be easier to get medicines. We're planning to enlarge our hospital and improve service for the patients." Likewise, the county's only post office and bank are operating seasonally. During the snowy season, when mountains are blocked, the arrivals of letters and telegrams are delayed, and banking networks are cut off. Local residents normally read newspapers several months later, and immediate remittances actually take 3 days. Jian Ada, director of Motuo County Post Office,said, "After the Motuo Highway is built, mail, magazines, and letters will be delivered to local departments without delay." 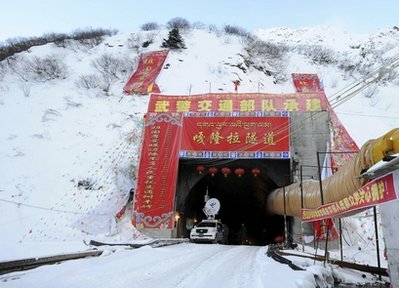 As the Galongla Tunnel is cut through the mountain, it will be not only free access for goods flow... changing local people's basic life condition ... but also bring in knowledge, culture, and technologies -- helping to build a better Motuo County. Two US cables obtained from Wikileaks on the negotiations between Dharamsala and Beijing have been posted on this blog. One was Positives signs or exercises of futility? It was a summary of the visit of a US Political Officer to Dharamsala (February 3-7, 2010) where he met a cross section of the Tibetan community. He recorded his views/comments. The second, Wikileaks: Hu is the boss was sent to the State Department in Washington soon after the beginning of the unrest in Tibet in March/April 2008. He emanated from Ambassador Clark T. Randt who explained that "President Hu Jintao remains firmly in charge of China's policy on Tibet". These cables raise some interesting questions. First about Hu Jintao. a source, knowledgeable in the Party affairs, confirmed that as long as Hu is around, he will be the 'deciding' factor for the Tibetan affairs. Though some Wikileaks cables tells us that the Politburo works by consensus, in the case of Tibet, Hu will always be the primus inter pares, as they said in Roma ('the first amongst equals'). My contact says: "Unless he is discredited politically (and he is a very careful man) or unless he is no longer 'sane in spirit', he will have the last word on Tibet until he dies." But perhaps worse for the Tibetans, he will continue to advise the top leadership after he steps down in 2012. Except, of course, if Xi Jinping is able to demonstrate enough charisma (and will) to change this fact, Hu will dictate the China's Tibet policy after 2012. My second point is also important: I have heard from different reliable sources that one of the main impediments in the 'negotiations' between Dharamsala and Beijing (apart from the 'Hu factor') has been the Tibetan cadres in Tibet who are dead against the Middle Path scheme. These officials apparently regularly lobby Beijing against the United Front Department which is conducting the talks with the Dalai Lama's Envoys; they manage to convey to the Central leadership their strong feelings against any new arrangements. Further, some observers believe that there is a deep antagonism between the United Front Department in Beijing and the Tibetan officials in Tibet. One can understand that the Tibetan cadres who have succeeded to reach the top of the ladder in the Local Administration by pleasing the Han Party bosses in Tibet are reluctant to accept a change and prefer the status quo. I am also told that this also apply to the cadres of Qinghai, Gansu, Sichuan and Yunnan. This is an extremely serious issue and I am wondering if it had ever been discussed or debated by the Kalon Tripa candidates. Or is it dismissed and brushed under the table? One way or another, these Tibetan officials in Tibet should be contacted by Dharamsala and 'bought over' either by explaining the scheme or by giving them an assurance that they will have a role to play in any eventual future arrangements. Great news for Christmas. The US Senate has ratified the Strategic Arms Reduction Treaty with Russia. I happened to be attending a Seminar on Disarmament in Mumbai. During the previous days, participants raised doubts: will the Republican-dominated Senate agree to follow President Obama in this small, but significant step. They finally did. A nice Christmas present for humanity. The Federation of American Scientists today applauded the Senate’s ratification of the New START (Strategic Arms Reduction Treaty) between the United States and Russia. 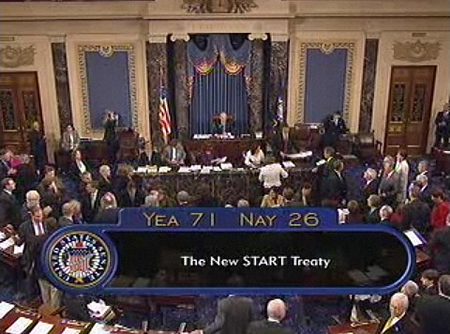 The Senate voted 71 to 26 in favor of ratification of the treaty. The approval of the treaty is a victory for common sense and an impressive achievement for the Obama administration in overcoming stubborn opposition from Cold Warriors to modest nuclear arms reductions. New START does not require destruction of a single nuclear warhead, but it reduces the limit for how many of them can be deployed on long-range ballistic missiles and heavy bombers. The United States and Russia possess more than 90 percent of the world’s nuclear weapons and will continue to do so when the treaty limit is reached seven years from now. During the past year and in an effort to ensure Congressional support for New START, the administration has committed to significant increases in spending on modernizing nuclear weapons and the production complex over the next decade: well over $100 billion for modernization of missiles and bombers, and more than $85 billion for modernizing warheads and production facilities. This modernization will have to be balanced against the other important goal of U.S. nuclear policy: securing international support for strengthening non-proliferation of nuclear weapons and materials. Demonstrating clear intentions to reducing the number and role of nuclear weapons will be essential to winning support for this agenda. Despite its limitations, the approval of the New START treaty brings U.S-Russian strategic relations back on track, reestablishes a vital on-site inspection regime, and potentially opens the way for negotiations on additional reductions in the future. Those negotiations must establish limits on and verification of U.S. and Russian non-deployed and non-strategic nuclear weapons, and prepare the ground for broadening nuclear arms control to the other nuclear weapons states. Positives signs or exercises of futility? Interesting Wikileaks cable about the situation in Dharamsala and the status of the so-called negotiations (The Negotiations that never were as per my book's title). How does it help to give false hope to the people inside Tibet? What is more shocking, and it is mentioned in the cable, is that the Chinese not only dictates the agenda of the meeting, where the meetings should be held, but also refuse to have a Chinese-speaking Tibetan in the delegation. It is one of the reasons why I called my book The Negotiations that never were. It just gives good consciousness to Western nations, particularly the United States who can pretend that they 'forced' Beijing to seat on the same table with the Dalai Lama's 'personal' representatives. Sometimes, I feel it is beyond 'futility'. But is there any other choice for the Tibetans? 1. (C) SUMMARY: PolOff visited Dharamsala February 3-7 to meet a cross section of the Tibetan community upon the conclusion of the ninth round of dialogue in Beijing between the Tibetan government-in-exile, known as the Central Tibetan Administration (CTA), and Chinese officials. 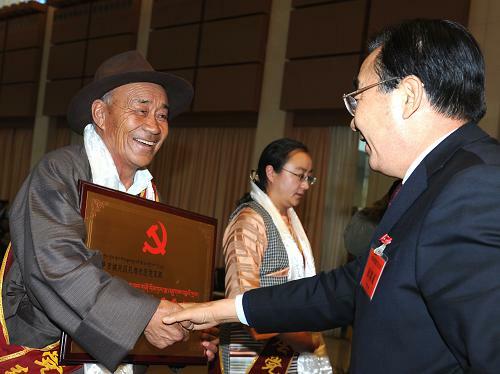 During meetings with members of CTA's Parliament, the NGO community, journalists and activists, Poloff detected growing Tibetan frustrations over the lack of progress through the dialogue and with the Middle Way approach. Many interlocutors pointed to the widely-anticipated meeting between the Dalai Lama and President Barack Obama with excitement but also expected few, if any, tangible outcomes. They argued that the international community, particularly the United States and India, needs to engage more on the Tibetan movement to curb rising frustration after over 50 years in exile. END SUMMARY. TIBET TALKS: POSITIVE SIGNS, OR EXERCISES IN FUTILITY? 3. (SBU) Tibetan envoy Lodi Gyari's February 2 statement pointed out that the Chinese delegation provided a detailed briefing on results of the January 18-20 Fifth Tibet Work Forum, an internal Chinese government-run discussion of China,s Tibet policy. Gyari noted that many of the issues the Forum prioritized (such as the focus on rural livelihood development projects and China,s shift in verbiage from the ''Tibet Autonomous Region'' to the geographically-larger ''greater Tibet'') are also mentioned in the Memorandum on Genuine Autonomy for All Tibetans, a document submitted by the envoys during the eighth round of the dialogue in 2008 and resubmitted during the latest round. 4. (SBU) Yet prominent members of the CTA, including Speaker of Parliament Penpa Tsering and Minister of the Department of Information and International Relations Kesang Takla, expressed frustration to PolOff with what they termed as the ''arrogant'' display by the Chinese officials who listed the Dalai Lama's return to Tibet as the sole issue on the dialogue's agenda. Tibetan envoys attempted, but were unsuccessful, in pushing substantive discussion on guidelines within Tibet that would precipitate the Dalai Lama's return to Tibet, namely a guarantee of the autonomy of the rights and welfare needs of the Tibetan people, as stated in the Memorandum. Takla argued that China's recent economic boom has negatively impacted the international community's ability to pressure the regime on its human rights record. they examine the internal situation and make recommendations for solving the Tibetan issue. Third, China should allow Amnesty International or another credible human rights organization access to the Tibetan-recognized Panchen Lama, who has been missing from the public eye since shortly after being named the Panchen Lama by the Dalai Lama in 1995. Finally, on the issue of both political prisoners and prisoners in general, China should allow greater transparency of its judicial processes (NOTE: Dolma contends that Tibetans receive no legal representation and have no clear trial dates, making it very difficult to monitor trial outcomes. She noted a recent positive change on this issue stemming from international pressure on China's ''punishment to death'' sentence, stating that now the Chinese government follows clear procedures to officially record trials in the law book, with only the High Court, upon review of the Supreme Court, holding the power to deliver a death sentence, which has reduced the number of executions imposed. END NOTE). 6. (SBU) XXXXXXXXXXXX suggested to PolOff that Tibetans have little hope for the dialogue as it currently exists, stating that talks are ''still at the zero point.'' He suggested two reforms to the dialogue process. First, Tibetans with Mandarin language skills should be included in the delegation along with neutral observers to record the discussion between both sides. Second, the location for talks should alternate within and outside China (NOTE: Even when discussions were held in Geneva, both sides met at the Chinese Embassy. END NOTE). Both XXXXXXXXXXXX and XXXXXXXXXXXX noted that ''hope is always there'' amongst the Tibetan exile community. XXXXXXXXXXXX stated that as Tibetans become more adept in using the Internet, they must use their own hopes to inspire activism over the Tibetan movement within Tibet and the international community at large. 7. 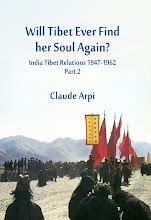 (C) Although Western journalists often ask who the face of the Tibetan movement would be after the Dalai Lama passes away, Tibetans seemed remarkably unconcerned because they see a clear succession path. Speaker Tsering noted to PolOff that the democratically-elected Kalon Tripa (Prime Minister) of CTA's Parliament would serve as a figurehead for the movement while officials search for the reincarnated 15th Dalai Lama. CTA,s Charter also provides for the election of a three-person regency to be chosen by members of Parliament in the event of the Dalai Lama's death or inability to take political charge of Parliament. (Note: The Dalai Lama continues to sit in Parliament meetings, despite statements that he is a spiritual, not political, leader of the Tibetans. END NOTE). Tsering contends that, depending on the strength of the three members of the regency, this body could also serve as the voice of the Tibetan movement. The issue that interlocutors disagreed on was the future actions of Tibetans when faced with a movement no longer headed by the Dalai Lama. 8. (SBU) PolOff's discussions with most interlocutors gravitated towards mention of the March 2008 uprising in Tibet, noting, as representatives from TWA did, that it projected a united Tibetan front against Chinese rule to the world. All remarked that conditions inside Tibet have gone from bad to worse in recent years. Deputy Speaker Dolma noted that faith in the Dalai Lama's leadership had led many Tibetans to believe in the Middle Way, yet there is a growing skepticism of this approach. Dolma said that many view the Dalai Lama's and CTA,s demand for autonomy within, and not total independence from, China as too great a compromise. 46,620 people - returned to Tibet after a short pilgrimage in India and audience with the Dalai Lama. END NOTE). XXXXXXXXXXXX affirmed to PolOff that the presence of the Dalai Lama has provided the Tibetan community at large with peace while soothing unrest among the Tibetan youth. TYC is the Tibetan community-in-exile's largest NGO, comprising members whose primary aim is achieving an independent, not merely an autonomous, Tibet. ''Tibetans would rise up if the time comes,'' stated XXXXXXXXXXXX, while noting that the large assemblies of Tibetan youth, outside of audiences with the Dalai Lama, gather together when the TYC discusses independence. Minister Takla also bluntly informed PolOff that if the international community fails to adequately support the Tibetan people in their struggle against China, people residing inside Tibet could become desperate enough to desert the Tibetan movement,s historically non-violent path. Takia said that ''we in the free world would be responsible for the resulting violence'' and all would fail as human rights authorities should Tibetans become militant. 10. (C) In this context, XXXXXXXXXXXX noted approximately 6,000 Tibetans now serve, and over 30,000 Tibetans have been trained, in Establishment 22, a joint Tibetan-Nepali border force within the Indian Army that reportedly emerged in 1962 following a failed Tibetan uprising in China. Membership in Establishment 22 was compulsory for Tibetan students graduating from Tibetan Children,s Village (TCV) schools until the late 1980s, according to XXXXXXXXXXXX. 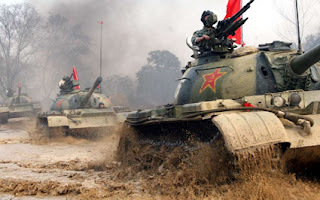 XXXXXXXXXXXX noted that Tibetans have never been given an opportunity to fight the Chinese, despite begging for the opportunity; they fought in the Indo-Pakistan War of 1971 that created Bangladesh and in Operation Meghdoot during the 1999 Indo-Pakistan fighting in Kargil. 11. (C) The widely-anticipated meeting between the Dalai Lama and President Obama in Washington was a frequent topic of conversation among Dharamsala residents. There appeared to be reasonable consensus that the Dalai Lama is not traveling to the US with a specific agenda for this meeting. Dolma noted that this will be a meeting between fellow Nobel Laureates who believe in non-violence, stating that the ''U.S. government already knows our need,'' and the Dalai Lama understands that there is no need to pressure or embarrass the President into action. Minister Takla, noting President Obama's recent stronger statements about China's trade practices, articulated that there is already international awareness about Tibet - ''everyone knows that Tibetans and the Dalai Lama want genuine autonomy for Tibetans in Tibet'' - but the question now is how do we put this desire into action and pressure China to act on the dialogue? Takla believed that failing to hold a meeting between President Obama and the Dalai Lama would ''increase China,s arrogance,'' while XXXXXXXXXXXX noted China's pressures on the United States and the Dalai Lama, stressing that the latter faced possible threats of executions of political prisoners in Tibet should the meeting proceed. It is surprising that the US cables published by Wikileaks do not mention the 'Tibetan' past of Xi Zhongxun, Xi Jinping's father. Elder Xi was very close to the late Panchen Lama. His proximity to the Panchen Lama was probably one of the causes of his 'purge' in 1964. Xi Zhongxun was rehabilitated by Deng Xiaoping in 1978. Xi Jr. 'ate bitterness' during these difficult . It is thought that Xi Jinping will become China's next president. But who is he? A source close to Xi has provided US diplomats with a detailed portrait of the up-and-coming functionary -- and says he is neither corrupt nor a fan of democracy. He isn't corrupt, and money seems unimportant to him. He apparently has enough. He likes the United States, and was at one time fascinated by the mysteries of Buddhism and Asian martial arts. On October 18, the Central Committee of the Chinese Communist Party appointed 57-year-old Xi Jinping vice-president of the powerful Central Military Commission. This makes it all but certain that he has been chosen to succeed Hu Jintao as Communist Party leader and Chinese president in 2012 and thus become one of the most powerful men in the world, if not the most powerful. But who is Xi Jinping? Even the Chinese people are more familiar with his wife. 47-year-old Peng Liyuan is a famous folk singer who tours the country boosting morale by trumpeting her love of China, the Party, spring and pretty peasant girls as a two-star general in the People's Liberation Army. For many years she was a firm fixture on CCTV's New Year's Gala, the most important event on Chinese television. Now, however, considerably more is emerging about her husband. The US Embassy in Beijing has remarkably precise information about China's future leader. Xi is "extremely ambitious," and a good man, according to the US source. He also comes from a good home. Xi is the son of former guerilla fighter and later Deputy Prime Minister Xi Zhongxun -- a "princeling," one of an influential class of sons and daughters of loyal functionaries that steadily rise up the Communist Party hierarchy under their parents' protective umbrella. Xi grew up in the sheltered environment of the nomenklatura. He spent his childhood in the Beijing district reserved for high-ranking officials. Although China officially doesn't have any classes, the neighborhood is strictly divided by rank: Members of the Politburo get a better apartment, a larger official car and are permitted to shop in nicer stores than mere ministers or deputy ministers. 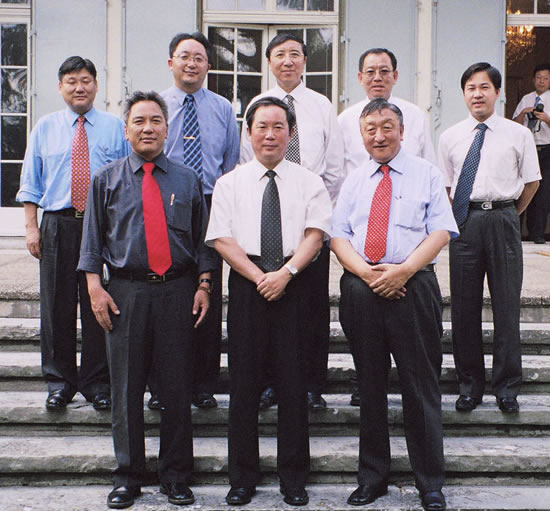 The scions of these families know from an early age that they have been chosen to one day "take their rightful place in the Chinese leadership," as one of the embassy dispatches notes. 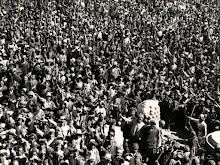 In 1966 Chairman Mao launched the Cultural Revolution to remove opponents from the ranks of the Chinese Communist Party. Encouraged by the motto "bombard the headquarters", the loyal Maoist elite pulled the rug out from under their own feet. Red Guards ran through the streets looking for supposed "Soviet spies" and "counter-revolutionaries." 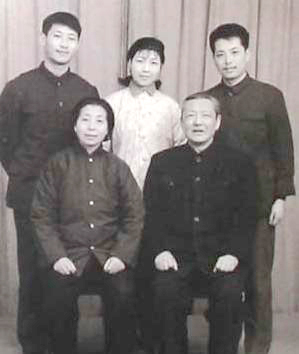 Xi's father landed in prison, and the younger Xi was sent into the countryside to work in the fields. In the early 1970s Xi and many princelings were permitted to return to Beijing. But while many of his young contemporaries set about enjoying their newfound freedom, Xi chose a different path. "He chose to survive by becoming redder than red," the US embassy's source says. In 1974, despite the fact that his father was still in prison, Xi joined the Communist Party, a decision which lost him the trust of fellow princelings, who felt betrayed by the move. Whereas his friends gorged themselves on Western literature, Xi read the works of Karl Marx and even joined a "workers', farmers' and soldiers' revolutionary committee." It was an open secret among the princelings that Xi's first degree in Marxism was not authentic. Xi then went on to study at the prestigious Qinghua University in Beijing. He first enrolled in chemistry and Marxism before going on to earn a PhD in law in 1979. Upon leaving university, Xi joined the army, working as a secretary in the offices of the central military commission in Beijing, although his precise rank remains unknown. Connections and old-boy networks are important within the Communist Party, and Xi's army job was clearly the result of a quid-pro-quo. It appears he was hired by General Geng Biao, one of his father's former comrades-in-arms. In return, Xi senior -- who had since risen to Party leader in the southern province of Guangdong -- appointed Geng's daughter to an attractive position. Xi had less luck in his private life. His first marriage, to the elegant and educated diplomat's daughter Ke Xiaoming, quickly fell apart. According to the US source, the couple lived in his parents' apartment in the exclusive Nanshagou district of western Beijing, where they "argued almost every day," according to a US dispatch. Eventually, Ke returned to England, while Xi remained in China. There he took a wise decision: He realized he could only become a career politician if he temporarily removed himself from Beijing's power clique and gathered experience in rural areas. He apparently believed that his father's and General Geng's connections weren't enough -- and that the risk of making too many enemies in the capital was too great. He slowly worked his way up the ladder in Heibei, Fujian and Zhejiang provinces. Because Fujian faces the breakaway island of Taiwan, US dispatches say, Xi has had an understanding for the plight of the Taiwanese people ever since. During his time in eastern China, Xi developed a fascination with the mysticism of Buddhism, the Qigong breathing technique and martial arts. It appears he also believed in supernatural forces. In 2007 the leadership made him the Party leader in Shanghai. At the time, the Communist Party was embroiled in a corruption scandal and desperately needed a clean pair of hands that could polish up its reputation. The so-called 'Shanghai Clique' under the then still influential former Party Chairman Jiang Zemin wanted to bring Xi in. He was seen as incorruptible and as having sufficient authority to clean up the Party's ranks. Xi spent just seven months in China's financial center before the leadership brought him to Beijing and anointed him vice-president. Xi's career strategy had paid off. "Xi had promotion to the Center in mind from day one," a US Embassy dispatch says. He is said to be a realist and a pragmatist, one who keeps his cards close to his chest before coldly playing his ace when the time is right. Xi appears uninterested in drinking and extramarital affairs, the leisure pursuits preferred by many high-ranking officials. Women consider him boring, a trait he shares with his stern superior, Hu Jintao. Xi knows about the world beyond China's borders. His older sister lives in Canada, and his younger brother is in Hong Kong. Nevertheless the US believes Xi thinks he can only play a prominent role in his home country. Xi visited the United States in 1987, and spent time in Washington. But he was apparently not particularly impressed. By contrast, he knows his own country extremely well. He is well aware how corrupt many of his comrades are. He abhors the pursuit of money, much as he does China's nouveau-riche. His greatest fear is that the new, free-market era will rob people of their dignity and respect. But he refrains from showing political initiative or promoting his own ideas, realizing that such things are not good for a career within the Chinese Communist Party. In spite of Xi's background and current position, the current Party chairman and president, Hu Jintao, does not consider him his successor. 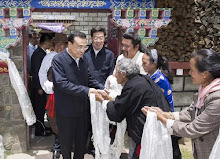 Hu's favorite for the post is Li Keqiang, whose career began in the Communist youth organization. But a group of older comrades, including former Party Chairman Jiang Zemin, reject their president's preferred successor. They say Li "lacks sufficient experience." Hu relented, and now it is thought that Li will soon replace Wen Jiabao as prime minister instead. Xi, the winner of this power struggle, does not appear to be a Chinese Gorbachev. Indeed he thinks little of democratic reform. Quite the contrary. He is convinced that only a small elite can maintain China's social stability and lead the country to new heights. The princelings, he says, are the "legitimate heirs" of the Chinese revolution. 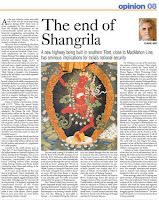 My article The Last Paradise upon Earth Disappears appeared in The New Indian Express. Click on the title to read. In 1818, the British started the Great Trigonometrical Survey, the ancestor of the Survey of India. They thought that the best way to ‘conquer’ the subcontinent was to map the subcontinent …and beyond. Their best surveyors were put on the job. George Everest, who later gave his name to the highest peak of the planet, was one of them. One of the main objectives of the Survey was to acquire a better geographic knowledge of the remote Himalayan areas, particularly Tibet. The resourceful Englishmen decided to use ‘locals’ (they called them ‘pundits’) for surveying (and spying) the Roof of the World. One of these pundits was Kintup, alias KP, a native of Sikkim. He was sent to Tibet with a special mission: to find out the course of the Yarlung Tsangpo. Was the mighty river flowing towards South-East Asia like the Mekong or to Burma…or to India? After several years of adventure (and a few months working as a slave in a remote village in Southern Tibet), the illiterate KP found that the Yarlung Tsangpo and the Brahmaputra were the same river. He was however unable to explore some 120 miles of the river’s course where the Brahmaputra drops from an altitude of 12,000 to 3000 feet. KP tried to follow the river downstream, but was only able to reach an area called Pemakoe forty miles north of British territory in Assam (what is today Arunachal). KP also tried to send marked logs down the river to see if they would reach Assam. Unfortunately, nobody got his message in British India and when he returned to Assam in 1884 (after four years on the mountain tracks), nobody believed his story. It is only several years later that the Survey found some of the logs in Bengal and that KP became famous. On the eve of Chinese Premier Wen Jiabao’s visit to India, several Chinese official websites splashed the news that this area, also known as Metok [the Chinese pronounce it ‘Motuo’], had finally been ‘opened’. Why was this news, which has grave strategic implications for India, made the headlines in China just one day before Wen’s arrival in Delhi? Or again during President Venkataraman’s visit in May 1992; the Presidential trip was spoiled when Beijing decided to conduct a 420 kiloton nuclear test in a vertical underground shaft. It was said to have been the most powerful in years. Why does Beijing continue with these tactics? Before leaving for Islamabad, the Good Mr. Wen interacted with Indian journalists; he told them "I know that there are over 500 presses in India, and the Indian system desires that the press has freedom. But I, at the same time, believe that the media should play a bigger role in promoting friendship between our two countries." However ,does an announcement (with fanfare) that the PLA has managed to access the remotest corner of the Tibet-India border, help to promote friendship? Or was it just a message to Delhi that Beijing is ready in case of conflict? 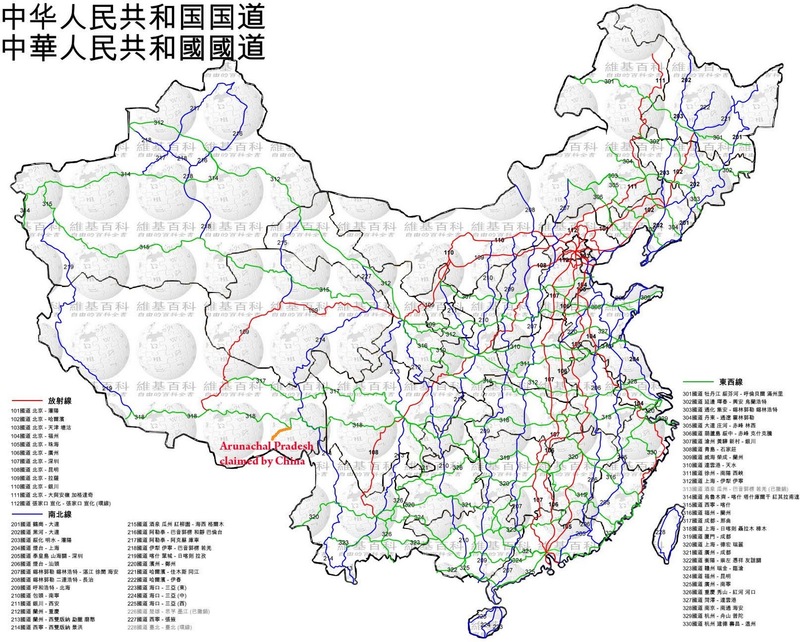 It is maybe true that Metok was the last county with no highway link in China, but who can believe that all these efforts are only for a population of 11,000? 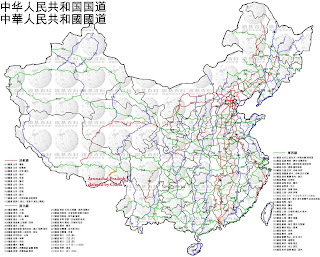 The 117-km Metok Highway will link the Indian border to the National Highway 318 which, starting from Shanghai runs across the provinces of Zhejiang, Anhui, Hubei, Chongqing (municipality) and Sichuan before entering Eastern Tibet through Litang, Batang, Markan and Bomi, continuing upto Lhasa and ending at the Nepal border (Zhangmu). Nyingchi Town, located some 200 kilometers from Bomi, is already served by one of the largest airports in Tibet. It can annually cater for lakhs of tourists attracted by the gorges of the Brahmaputra. Even more serious: engineers who have worked for the northward diversion of the waters of the Yarlung Tsangpo across hundreds of kilometers of mountainous regions to China’s northwestern provinces of Xinjiang and Gansu, have planned the main hydropower plant in the Metok area. They knew that the gorges of the Brahmaputra can provide one of the greatest hydropower potentials available in the world. For South Asia and more particularly for India, the enormity of the scheme and its closeness to the Indian border cannot be ignored. It will of course be a political decision, but the new road now makes it conceivable practically. For the Tibetans, the region is one of the most pristine of their country. They consider the area around the Great Bend of the Brahmaputra as the home of the Goddess Dorjee Pagmo, Tibet’s Protecting Deity. Many believe that Pemakoe is the sacred realm often referred to in their scriptures: the last hidden Shangrila. It is also said that the great Indian tantric master Padmasambhava visited the place during the eighth century and tamed the local spirits to conceal spiritual scriptures for future generations. The region, unlike other parts of Tibet, receives plenty of rain and within the Great Bend one finds the rarest species of flora and fauna. Though not yet fully documented, the Chinese authorities admit that the region is the home for more than 60 per cent of the biological resources on the Tibetan Plateau. The road will not only trigger the disappearance of one of the last sacred places of this planet, but will also have serious environmental, strategic and military consequences for India. It might be a dream for China; but it will be a nightmare for India. To understand the past year, you have to be a great mathematician. If one believes India Abroad (and there is no reason not to believe Rediff.com’s sister concern), the Commonwealth Games scam amounted to $ 1,700,000,000 or RS. 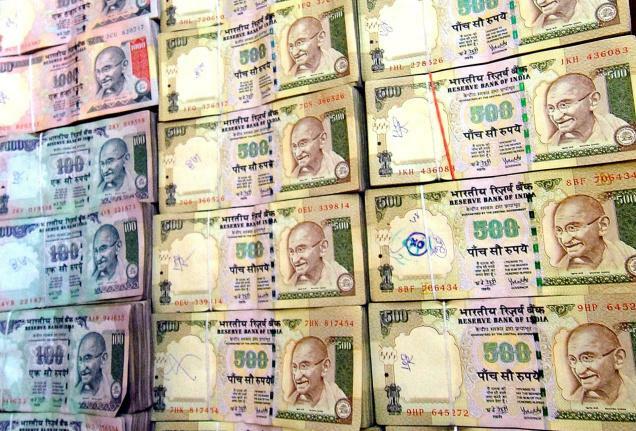 85,000,000,000 Indian; bribes paid by truckers were estimated at Rs. 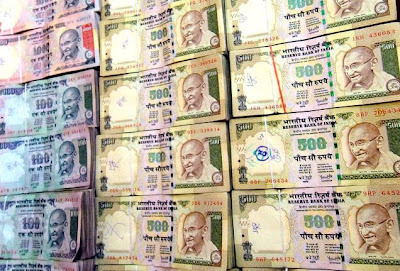 250,000,000,000; for the G2 Spectrum scam, the mother of all scams the total is Rs 2,000,000,000,000 (well, some say it was only 1,760,000,000,000 rupees, but this depends if you change your dollars at a SBI counter or not); bribes for housing loans reached Rs 11,050,000,000. The conclusion is that there are just too many zeros for a ‘common man’ to say how much has been looted from the State coffers, but the ‘common man’ can easily understand that something has gone ‘rotten in the Kingdom of India’. Abraham Lincoln spoke of a representative democracy as a "government of the people, by the people, for the people”. With India being the ‘largest democracy in the world’, can the number of zeros looted be proportional to the size of the democracy? Lincoln surely would not see it that way. In ancient Rome, at the end of each year, it was classified as either an Annus horribilis (a horrible Year) or an Annus mirabilis (a Year of Wonder). Even Queen Elizabeth of England in her chaste English called year 1992, an annus horribilis, in a speech for the 40 years of her coronation. Year 2010 has undoubtedly been an annus horribilis with the Rajas and his Telecom scam (and a silent Prime Minister); the Commonwealth Games during which scoundrels had a field day; the Adarsh Society Housing scam where the families of Kargil heroes have been deprived of flats in a 31-storey building in Mumbai by usurping politicians, bureaucrats and other VIPs. There are also the less well known cases like the ‘humanitarian’ export of non-basmati rice to African countries between 2007 and 2009. Three PSUs (State Trading Corporation, Minerals and Metals Trading Corporation and Projects Equipment Commodities Ltd) managed to bend the norms allowing private exporters to make several ‘zeros’. The government’s embarrassment over the appointment of PJ Thomas as Central Vigilance Commissioner, though this bureaucrat probably does not possess the quality of an ‘outstanding civil servant’ as defined under the Central Vigilance Commission Act, is comparatively a ‘minor’ affair. No need to mention a former Chief Justice of India who forgets to tell the truth, the entire truth. And then there is Niira Radia. Frankly, I did not know what a ‘corporate lobbyist’ was. We all know that files need to be pushed to avoid gathering dust in the corridors of ministries; this is fact of life in India, even at the age of e-governance. But it was a surprise to me that one person could look after the interests of all the Tata companies (and Mukesh Ambani's Reliance Industries’ affairs too) as well as those of some political parties. She must be a superwoman, a friend remarked. The most surprising in this episode was that the Home Ministry authorized the Income Tax department to tap the lady’s phone lines for 300 days in 2008-2009. Perhaps some well-intended politicians expected skeletons to drop out of Ms Radia’s cell phone, allowing them to thus pin down some of their opponents (within the ruling Congress?). But now it is the entire spectrum of politicians, corporate leaders, government officials, middlemen and even media persons who are shown in a bad light. Paradoxically, because of all this, 2010 is for me a Year of Wonder (annus mirabilis). During the past year, so much has emerged out of India’s gutters. An optimist like me believes that it is the first positive step to clean up the system. Corruption is not new; some even say that it is older than prostitution. It has definitely existed since India became independent. Recall the Jeep scandal in 1948, when V.K. Krishna Menon, then India’s High Commissioner in London agreed to a deal for the purchase of jeeps needed for the army operations in Kashmir. It was signed with a foreign firm without observing the normal procedure. In 1955, when the opposition demanded a judicial inquiry as suggested by the Inquiry Committee, Nehru’s Government announced that the Jeep scandal case was closed. Union Minister GB Pant declared "that as far as Government was concerned it has made up its mind to close the matter. If the opposition was not satisfied they can make it an election issue.” Soon after, Krishna Menon was inducted into the government! According to Transparency International survey Global Corruption Barometer 2010 released a few days ago, 74 percent Indians feel that corruption has increased over the last three years. Indians believe that political parties are the most corrupt, followed by police, civil servants as well as officials in the fields of education, business, judiciary, NGO, media, religious bodies, and military. India is clubbed with Iraq, Nigeria, and Afghanistan as the one of the most corrupt countries. Lincoln’s formula has indeed gone astray. A government of which people? A Prime Minister who is only worried that the corporate sector will feel bad after the release of the Radia tapes! What about the common man whose savings or taxes are looted by government officials? Government for the people? Which people? The rich and mighty only? Government by the people? It is journalists and lobbyists who ‘fix’ who is going to be ministry of a lucrative portfolio. Who has given them the mandate? “A Nation Cheated” wrote India Abroad. It is truly encouraging that today all this is in the public domain and the civil society is becoming more and more pro-active. In the 1950’s, the Jeep Case might have been buried by an all-powerful government; today, it will certainly become an election issue and the villains and corrupt may not be reelected by their constituencies, (and hopefully some will go to jail). It is why the most encouraging event of 2010 was the victory of Nitish Kumar during the 15th Assembly Elections in Bihar. His landslide win demonstrates that the ‘common man’ also has a voice. The Land which witnessed the Buddha preaching 2500 years ago, has today chosen development and honest governance against mismanagement, corruption and gooda raj. The fact that Nitish Kumar and his allies bagged more some 215 out of 243 seats in the house is a message of hope. Then, on a planetary level we have the Wikileaks effect. Launched in 2006, the website WikiLeaks specializes in publishing documents from otherwise unavailable sources. The latest target was the US State Department. The site is said to be in possession of 2.5 lakhs of cables from US embassies abroad or the State Department. Washington is of course not amused. But the reading of the thousand odd cables released so far , which have undergone the scrutiny of senior journalists of five world respected newspapers (such as the New York Times or The Guardian) before release show that there is no harm in the public (alias Aam Aadmi) being informed of what his/her government is doing on his/her behalf. Why should ordinary citizens not know about the wars that their government is fighting for them (or the peace that diplomats are negotiating)? Probably half the conflicts in the world could be solved if all the cards were placed on the table. There is therefore no harm in wikileaking diplomatic cables provided that some care is taken (for example in deleting the names of some informants or agents). Do not ordinary people have a Right to Information? Another new initiative makes me optimistic for the year to come: it is known as the Gates-Buffet Giving Pledge. Bill Gates and Warren Buffet have decided to contribute at least half their personal wealth for charitable purposes and are inviting other zillionaires to join them. Already several hyper-wealthy individuals have taken the pledge; the latest to join the club was Facebook CEO Mark Zuckerberg (nominated the Man of the Year by The Time). One can be cynical and believe that for these people, it will only be another form of investment, but one has to understand two things. More and more people realize today that when one leaves this world, nothing can be taken the other side and whether one has one billion or half a billion in one’s bank account, it does not make a great difference. The other point is that people like Bill and Melinda Gates have made a difference in the field of education in the US high schools or in the fight against the malaria or AIDS in Africa and Asia. They have earned the world’s esteem for it. I wish Indian billionaires would sign the Pledge. There are so many ‘common men’ suffering in this country; nobody should hide behind “it is the job of the government to do this”, it is an universal responsibly. We knew that China was Pakistan's 'best' and 'most-trusted' friend, in other words an 'all-weather' partner, but now both nations are also brothers. After his fiasco visit in Delhi, Wen Jiabao said in Islamabad that Pakistan is China's "good neighbors, good friends, good partners and good brothers". What was the point to visit Delhi before Islamabad, Wen did not even want to speak about the stapled visas for Kashmiris or other contentious issues. Worse, and hardly noticed by the Indian press, Beijing proudly announced the new road to Metok a day ahead of the visit (see my previous posting, A Giant Step towards the megadam). Business could have continued to grow with or without official visit. The main problem for India is that the trade increases unilaterally. One can doubt that this has been tackled. As for the Pakistan visit, it means more infrastructure will be built in POK and elsewhere, more PLA's will come to Pakistan on 'humanitarian' missions, more nuclear facilities will be installed, and nothing will be done to stop terrorism to spread. When said that Beijing: "will continue backing Pakistan's efforts in defending national sovereignty, maintaining social stability and achieving independent and sustainable economic development." Well, one day, terrorism may use the 'all-weather' Kakaroram Highway to spread its tentacles to Xinjiang. Beijing should think about this and beware its brother. Chinese Premier Wen Jiabao and his Pakistani counterpart Yousuf Raza Gilani reached extensive consensus here Friday on further strengthening their countries' strategic cooperative partnership. 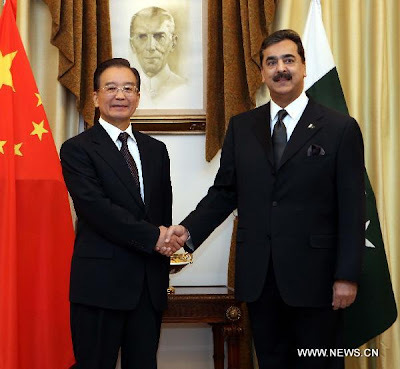 "China and Pakistan were, are and will always be good neighbors, good friends, good partners and good brothers," Wen said during his talks with Gilani, citing the profound friendship between the two peoples and the solid foundation of bilateral ties. In order to enhance communication and cooperation between the two "all-weather" strategic cooperative partners, Wen added, Beijing is ready to establish an annual conference mechanism between the two countries' leaders and a regular dialogue framework between their foreign ministers. China appreciates the strong support Pakistan has long been offering on issues concerning China's core interests, and will continue backing Pakistan's efforts in defending national sovereignty, maintaining social stability and achieving independent and sustainable economic development, Wen said. Noting that Pakistan has made huge sacrifice for and important contributions to the global counterterrorism campaign, the Chinese premier said his country is ready to work together with Pakistan to promote regional peace and stability. Meanwhile, a great potential is yet to be tapped in the two countries' practical cooperation, Wen stressed, saying that concerted efforts are needed in this regard to bring more benefits to the two peoples. In a three-point proposal, Wen prioritized the task to help Pakistan rebuild after its nationwide deadly flooding this summer, and pledged to offer assistance in road repair, food production and other relief programs if needed. Additionally, the two sides should consolidate cooperation in infrastructure construction and expand collaboration in trade, investment and financial sectors, Wen added. On the cultural sphere, he proposed to designate 2011 as the Year of China-Pakistan Friendship, co-sponsor activities to celebrate the 60th anniversary of the establishment of diplomatic relations, further broaden people-to-people exchanges, and thus promote mutual understanding and friendship between the two nations. Gilani, for his part, said that China is Pakistan's "best" and "most-trusted" friend, and that his country sincerely thanks China for its valuable support and generous aid. He expressed full agreement with Wen's proposal, saying that Pakistan is willing to join hands with China to beef up top-level contacts and strategic cooperation and pass on the two nations' friendship from generation to generation. The Pakistani side, Gilani said, is confident that with concerted efforts, the Pakistan-China all-weather strategic cooperative partnership will surely reach higher levels. Following their talks, the two leaders witnessed the signing of a number of documents on bilateral cooperation in economy, energy, finance, culture and other areas. Wen arrived here from India earlier in the day for a three-day visit to the South Asian country, where he is also scheduled to address a joint session of the Pakistani parliament and inaugurate the China-Pakistan Friendship Center, a project built to facilitate exchanges among the two countries' students, media and academic circles. Wen Jiabao, China's First Dissident! A Giant Step towards the Mega-dam? Will the Dalai Lama retire in six months?